This episode of Being Mary Jane took us back down to the ATL to check in on Niecy and the rest of the Pattersons! Picking up from last episode, Niecy goes out for a night on the town with her girls, blowing more of her settlement check on a VIP table with plenty of hookah and bottles. They get to talking about Dante, with Niecy foolishly thinking that Dante wants to be a family with her, Isabelle and Treyvion (who isn't even his son), but really he's using her for her money. Out of nowhere, these random girls try to come over to sit with them. When Niecy tells them no, one of the loud mouths calls her out for being nothing but a ho who came up off being tased. She and Niecy get to arguing, and eventually get to scrapping in front of everyone. Niecy is kicked out, and, of course, everyone's cameras are rolling as all this goes down. Since Niecy is known from her incident with the police, Twitter is putting her on BLAST, with a hashtag even going around (#WhyTheBitchGotTased). Niecy fires back talking about how people just hate because she has a $150K settlement! Meanwhile, up in NYC, Mary Jane and PJ try their hand at finding and making some ribs like their dad's but to no avail. PJ then asks if she can get Olivia's daughter Ava an internship at Great Day USA. Though put off by it, Mary Jane states she will put in the request, but no promises. The next day, we see Helen and Patrick's daughter D'Asia at a fancy society called Jack & Jane, which Helen is a member of. It's supposed to be an uplifting organization for black women and girls to get together, and Helen wants D'Asia in. However, people know that D'Asia is Niecy's sister, and, because of Niecy's fight, stick up their nose at D'Asia (the kids and adults alike!). The president Joan brings it up to Helen, who is in shock that it even happened. Later, she talks with Niecy about it, refusing to tolerate that behavior. Truth be told, the entire family have all been met with whispers and side eyes since Niecy was tased, and Helen doesn't like that at all. She thought that this incident would help Niecy grow up, but it really didn't. Later, Niecy meets up with Dante to get Treyvion's toy car, and asks when they'll hang out. Dante tells her that he's been busy at his job, and "needs to get sleep," but they'll hang out "soon." All BS, but Niecy's too blinded by wanting a father for her kids to see it. When she gets back home, she's quickly served with papers for violating her settlement agreement. Of course, it was because Niecy clapped back on Twitter and spoke about how much she got. Settlements like that typically have that privacy clause, where, if you talk, you gotta cough up that cash! Of course, she tries to get in touch with Dante, especially since she's going to have to get that car back, but he doesn't respond. Meanwhile, Helen gets a call that D'Asia's will not be inducted into the organization because of Niecy's behavior and Patrick's past drug use. 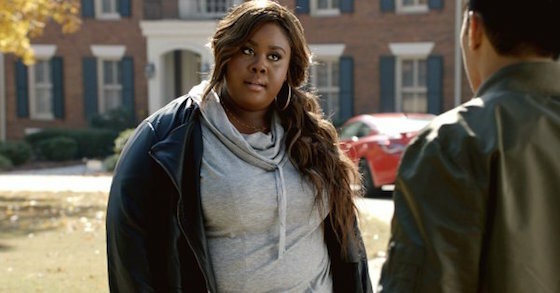 Helen is upset because the society means so much to her, but Paul tells her that at least now everyone knows exactly how Niecy feels. Really, if a society is that siddity that they look down on other people like that, then neither D'Asia nor Helen should want to be a part. After having a talk with her lawyer, Niecy reveals to the family that there will be a hearing about Niecy violating the agreement. However, the hearing is just a formality because she will definitely have to give the money back...all $150,000 of it! Only thing is she's spent a good chunk of it already, which Patrick, Helen, and Paul didn't know. She loaned her friend some money, put down a deposit on a breast lift, and spent some on clothes, nails, and weaves. But a good chunk of it was spent on Dante's fancy car, and she had to be honest about that. Patrick then blatantly asks her if Dante's been hanging around since she got him the car, which is clearly a no! Meanwhile, PJ and Mary Jane are still trying to get this BBQ sauce right! Both Patrick and Niecy end up contacting MJ about the situation. Neither Mary Jane nor PJ really want to get involved, especially because they've been so far away from the Patterson drama. Mary Jane personally wants to keep a healthy distance instead of swooping in to fix everything like she did before, which is completely understandable. She has her own life to live! Later, Patrick drives Niecy over to Dante's with the kids to get the car. After Niecy almost breaks the door with her pounding, Dante's car pulls up. However, Dante's not driving it. It's his other baby mama Anika, and, though it seems like it'll be real ugly at first between the two, they realize that Dante's been playing them both! FINALLY, they see him for the bum that he is. Anika opens up to Niecy about her struggles as a single mom, especially since Dante doesn't do anything. She doesn't have real family support like Niecy. In that moment, the two have an understanding as moms. Plus Anika's son and Niecy's daughter Isabelle are siblings. Niecy decides that they should have play dates for the kids, which Anika agrees too. All wasn't lost! As all this is going on, Patrick has a conversation with Paul about how he should handle this situation with Niecy. Paul admits that he and Helen tried to control Patrick, before realizing that sometimes the best thing to do is just let your kids fall and find their way. Parents can always be there to lift their kids up when they really need it, but you have to try to let them figure it out on their own. Young Treyvion asks Niecy why his father Cameron doesn't come around like Dante, and is asking a lot of questions about his father and family. It's really sad and brings Niecy down. 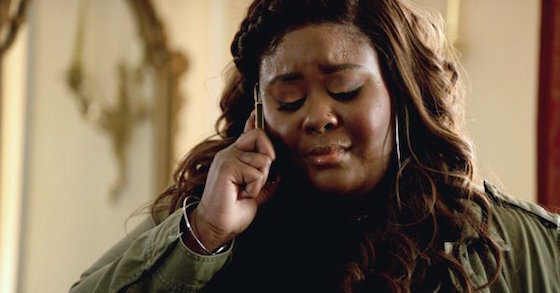 Mary Jane calls Niecy a bit later, and Niecy breaks down on the phone. She sees now that she was seduced by the thought of having a father for her kids, and that's why she tried so hard to make things work with Dante. MJ encourages her and lets her know that she has a family to support her, and that Niecy can do whatever she sets her mind to. After that convo, Mary Jane thinks that maybe she should've went down on the weekends to check on the family and help out. PJ tells her that she did the right thing by staying put, and not getting involved. At the end of the day, Mary Jane really has her own issues to work through. And, honestly, maybe she would have by now, if she would have been able to focus on herself just a little bit more personally. Meanwhile, Olivia's daughter Ava ends up getting the internship. When she and PJ are walking out,Ava pulls out a bottle that she stole from an anchor, trying to get PJ to celebrate with her. He promptly puts her in her car, and takes the bottle back. I can TELL this young girl is going to be trouble for PJ later on down the road...and it might get real ugly. Towards the end of the episode, Helen brings D'Asia to the next Jack & Jane mixer again, and says her piece to Joan and everyone else. to say her piece to Joan. She never thought that this organization, which is supposed to uplift black people, would treat her and D'Asia like this. Helen mentions that she's not the only one whose family has been rocked by scandal. Others start opening up about their issues, showing that none of them are unscathed by family drama. At the end of the day, black people are judged enough by outsiders without judging each other! After all that, D'Asia is welcomed as the newest member of Jack & Jane! Meanwhile, Niecy gets a text from Dante, who's outside on his bike wondering about the car. Before she goes to talk to him, Patrick tells her to listen to her gut, which has a way of telling anyone when enough is enough. Niecy goes outside, and calls him out for lying and using her. When he gets all defensive, she tells him that she is DONE, and to ride off on that raggedy bike! Don't text her for nothing unless it's about seeing Isabelle...which, sadly, knowing this character, won't happen. Deadbeat. In the end, PJ and Mary Jane finally get some ribs that Paul sends up to them. Meanwhile, Niecy herself has a newfound light and confidence! She takes Treyvion to return the car, but has a joy ride with him before! She realizes that she is a black woman who had the nerve to raise her voice, and THAT'S why she got tased. Now, she seems to be standing tall in who she is. Hopefully, she finds her way now for real! Definitely a great episode. I really liked that it focused on everyone else and not Mary Jane this time around. I miss seeing the Pattersons! Let us know what you thought of this episode in the comments below. 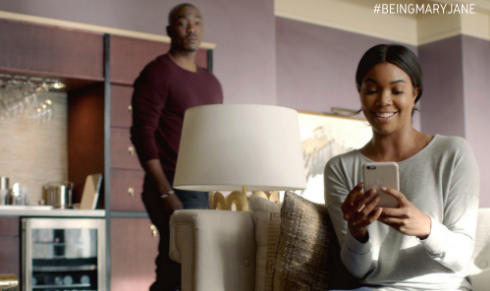 Be sure to check out all new episodes of Being Mary Jane on Tuesdays at 10 p.m. ET only on BET!